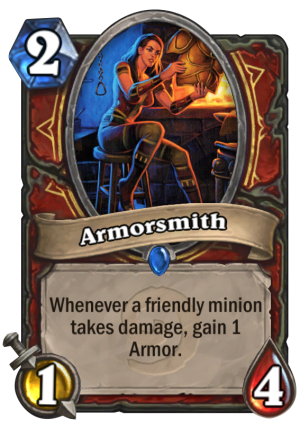 Armorsmith is a 2 Mana Cost Rare Warrior Minion card from the Classic set! Whenever a friendly minion takes damage, gain 1 Armor. She accepts guild funds for repairs! Rating: 4.5/5. From 168 votes.